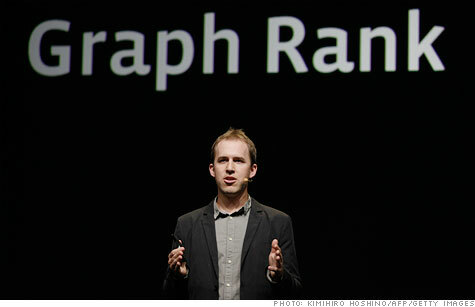 Facebook's FriendFeed purchase in 2009 gave the company Bret Taylor, now Facebook's chief technology officer. NEW YORK (CNNMoney) -- Facebook shocked most of Silicon Valley by shelling out a cool $1 billion to buy Instagram -- the priciest acquisition ever for a company that likes to grab startups when they're tiny and cheap. But Facebook's now-staggering valuation, which could top $75 billion when the company goes public, means some of its earliest acquisitions are now worth eye-popping sums. Here's an especially ironic one: Friendster. Facebook quietly purchased a patent bundle from Friendster's current owner, Malaysian Internet company MOL Global, in May 2010, and handed over 3.6 million shares as part of the price tag. The deal was valued around $40 million at the time, according to GigaOm and other tech blogs. If Facebook's shares price at $35, the high end of its proposed range, Friendster's stake will be worth $127 million. MOL has been sitting on its shares ever since, but it may unload them soon. "We will probably sell them for our business," MOL Global principal owner Tan Sri Vincent Tan told Malaysian newspaper The Star earlier this year. "We don't want to hold them for too long but will see where the shares go after the IPO." Another takeover target poised to cash in big is FriendFeed, a social news and link sharing service that Facebook acquired in August 2009. Facebook paid for the deal with $15 million cash and stock valued at around $35.5 million, according to the Wall Street Journal. Facebook's IPO filings get into the specifics: It issued 11,052,955 shares in August 2009 to "ten individuals and one entity" in connection with an acquisition. Facebook didn't identify the company, but several sources close to the deal confirmed to CNNMoney that it's FriendFeed. A Facebook representative declined to comment. At $35 a share, FriendFeed's stake will be worth $387 million. Next to Instagram, it's the largest deal Facebook has done. So what did Facebook get for its investment? An executive who helped shape Facebook's future. FriendFeed had four co-founders, all former Google (GOOG, Fortune 500) engineers. Co-founders Paul Buchheit and Jim Norris moved on to other ventures, while Sanjeev Singh and Bret Taylor stayed put. Taylor, who now serves as Facebook's chief technology officer, is one of the company's leading engineers. Some Silicon Valley insiders say the deal was one of the smartest acquisitions Facebook has done. "It'll go down as one of the best, no-brainer decisions in the history of technology," says Color CEO Bill Nguyen, who knows a thing or two about acquisitions. His last startup, Lala, was bought by Apple (AAPL, Fortune 500) in 2009. "FriendFeed is one of the most transformative technologies we've ever seen," Nguyen says. "It changes how we consume our information. Before, it was search and browsing. No one was delving into the Web based on what friends were doing." FriendFeed co-founder Buchheit, now a partner at tech incubator Y Combinator, said it wasn't an easy decision to sell -- even though in retrospect he sees it as the clear right move. "I became convinced that they had a lot of upside," he says of the discussions with Facebook. "When you look as where we were as a product, the deal made a lot of sense." Facebook has done at least two dozen acquisitions over the years, but it's been relatively stingy about using its stock as currency. For all of the the acquisitions detailed in its IPO filing, Facebook issued a total of 21.8 million shares -- less than the 23 million shares it is spending on Instagram alone. Facebook CEO Mark Zuckerberg called that megadeal an aberration: "We don't plan on doing many more of these, if any at all," he said at the time. True to form, Facebook's next acquisitions have been back in its comfort zone. Last month it issued 40,000 shares to pick up Tagtile, a small local marketing startup, and last week it nabbed Glancee, a social discovery app, for a not-yet-disclosed purchase price. Even the newbies are poised for a nice payday. The value of Tagtile's stake will likely top $1.4 million when Facebook goes public, making the year-old company's two co-founders the newest members of Facebook's million-dollar club.